From planting shrubs to building a fence, many outdoor projects require digging. Before the shoveling begins, make sure to call 811 before you dig. It could prevent serious injury or even save your life. According to its website, the 811 “Call Before You Dig” number is a national line that was created to help prevent people from coming into contact with underground utility lines during digging projects. A professional will then be sent to your digging location to mark the areas where the public utility lines are buried free of charge. It takes a few business days for a professional to come mark your utilities with flags or spray-paint. So make sure to call in advance. If you are in a rush to complete a project, a few days might seem like a long wait. However, a small waiting period can spare you an injury that could take years of recovery. Even digging professionals can run into trouble with buried power lines. Even if you previously had utilities located by calling 811, it is best to call before every digging project. Underground utilities can shift, and it is important to be certain of where they are before ever putting a shovel in the ground. If you accidently come in contact with an underground utility, do not bury the problem. Your first priority should be evacuating the area for safety and then notifying your utility provider. Do not attempt to fix the problem yourself. 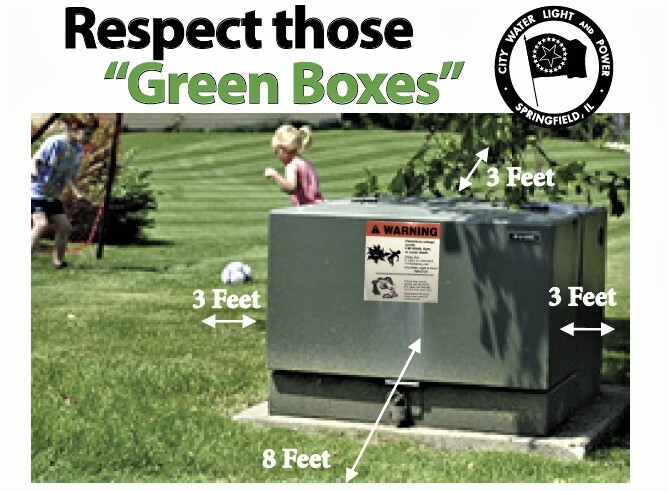 If you have one of these green metal boxes located in your yard, you probably know it has something to do with your electrical service. These boxes are called pad-mounted transformers and are a key part of the underground electrical system that delivers high voltage power to your home. Planting shrubs around these transformer boxes, or blocking the access in any way creates a hazard for CWLP utility crews. Just as blocking a fire hydrant is a safety violation, anything that obstructs access to a transformer creates a similar safety violation. In the event of an electrical emergency, utility crew personnel need quick access to unlock and open the transformer cover. · Always maintain a clearance of 8 feet in the front of the transformer (the side with the door) and 3 feet around all other sides. · Never dig beside a transformer or install fencing, storage buildings or plantings near it that would inhibit utility crews’ access. · Plantings within the clearance area may be removed by utility personnel to gain access to electrical equipment. Questions on CWLP Equipment Before You Begin Your Project? Contact Electric Dispatch at 789-2121. The newest CWLP power plant in operation is being fueled by the sun. A 250 kW solar installation, representing the utility’s first owned renewable generation resource, was commissioned for testing he week of December 10th. 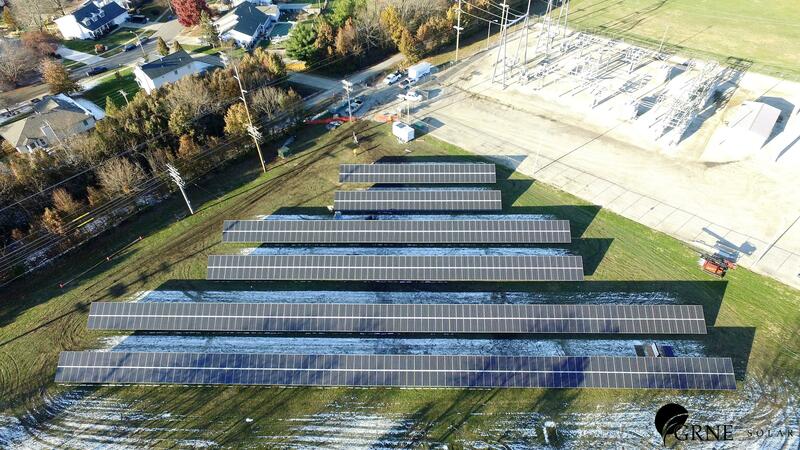 The solar photovoltaic (PV) array, consisting of 716 panels, is located behind Harrison Park subdivision and adjacent to the Sangamon Valley Trail and the utility’s Washington Substation at 606 Old Tippecanoe Drive. Mayor Jim Langfelder, City Officials, CWLP staff and project partners representing GRNE Solar and B&B Electric and other community groups were on hand for a dedication and ribbon cutting on Thursday to mark the beginning of the solar farm’s operation. Beyond a new generation resource, the solar farm will provide CWLP customers the opportunity to purchase solar energy for those that want to go green or for customers without the financial means or roof space to install their own solar. A solar subscription program, "mySolar," is available for CWLP customers to purchase 100 kWh blocks of energy through their bill. The CWLP solar farm, with a project cost not to exceed $437,228, is projected to generate between 339,000 and 373,000 kWh per year or enough to power about 35 homes. The solar farm will offset other carbon-based energy generation. GRNE Solar partnered with local labor from B&B Electric to build the solar farm. Construction began November 5th and all work, including safety testing was to be completed December 13th. The ground-mounted PV solar array is south facing to maximize sun exposure for the site. At the December 18th City Council meeting, The Energy Authority (TEA) will provided an update on the Integrated Resource Plan (IRP), which will identify what type and mix of generation will be best suited to provide reliable and reasonably priced electrical power to meet the community’s needs for the next 20 years. TEA’s presentation slides are here. The IRP is compiling and analyzing economic data of CWLP’s existing electric resources along with the economic data of other options such as wind, solar, natural gas combustion turbine, smaller reciprocating engines, power purchases from the market, demand side management and energy storage. 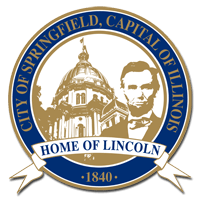 At the end of the IRP process, the Springfield City Council will be presented with a number of different energy portfolios scenarios, including plant retirements of any or all Dallman units and various generation mixes, along with the projected costs and risks of each. An open house to display the results of the IRP and allow for public comment in the spring of 2019 is being planned. To learn more about the IRP, see CWLP’s presentation given at the September 17th meeting here and or watch the full meeting video here. On Monday, December 10th a Public Utilities Committee meeting was held. The meeting included presentations from University of Illinois’ Prairie Research Institute and Illinois Sustainable Technology Center on a potential carbon capture project for Dallman Unit 4; as well as project updates from the CWLP Water Division on Lake Springfield watershed protection programs, Water Works Improvement Projects and status of the Supplemental Environmental Impact Statement as it relates to a supplemental water supply for the utility. You can view our presentation documents here. On 11/28/18 Sierra Club, Prairie Rivers Network, Earthjustice, and the Environmental Integrity Project published a report titled “Cap and Run” looking at groundwater data for disposal of coal ash by Illinois power plants. CWLP staff have taken a preliminary look at the report, “Cap and Run,” released 11/28/18 and don’t find newly revealed data or concern with regard to the ash ponds currently serving the Dallman complex. CWLP will not “cap and run” from its ash ponds and follows and complies with all coal ash regulations. The utility has been participating in groundwater monitoring programs for the vicinity of the ash pond areas and is the source of the monitoring data for its sites cited in the report, which also includes data from other Illinois power plants. The ash ponds, located downstream and downgradient from Lake Springfield, do not pose a risk to the City’s water supply. There are not any privately-owned, potable wells at risk from CWLP ash ponds in the area. Other report claims with regard to CWLP ash ponds are inaccurate and misleading. The report states the CWLP ash ponds would be underwater in a 100-year flood, which is not true. In section 14, “CWLP’s defective monitoring keeps Illinoisans in the dark” is misleading. CWLP uses appropriate detection monitoring for its ash pond facilities, which are in compliance with regulations, and regularly makes the monitoring data publicly available and posts it on its website. As the report notes, the utility is already planning for closure of the ash ponds that receive ash from Dallman 1, 2 and 3. Dallman 4 was constructed with a dry ash handling system and does not send ash to these ponds. The report prematurely criticizes and cites a closure plan still in development. The utility’s recommendation on method of closure, whether by capping, removal or lining the ponds, has not been made and will follow Federal regulations, which allow the utility time to develop closure plans. Similar to today’s report referencing CWLP and its ash ponds, a current complaint by the Sierra Club, Prairie Rivers Network and NAACP on file with the Illinois Pollution Control Board with regard to CWLP ash ponds, is premature and out of context given that the City and CWLP are already working on a closure plan. These organizations are subjecting Springfield citizens to costly and unnecessary litigation, rather than waiting for CWLP’s closure plans to be developed as the rules allow. As a publicly-owned, citizen-owned utility, CWLP has long operated as an environmental leader in the industry. CWLP also has a record of being proactive in addressing environmental issues and following regulations in order to protect both air and water quality. The American Public Power Association is offering special contest this year, "We are Community Powered" to get the word out about how public power utilities provide reliable, low cost electricity, while giving back to communities. Community-owned public power utilities, like CWLP, provide power for 2,000 communities to more than 49 million Americans, who all have a voice in local decision-making with regard to their electric utility. Residents and businesses of public power communities are invited to enter the contest, enter yourself, and also help spread the word. To be eligible for a prize, post a message, photo, or video using the hashtag #CommunityPowered to your public Twitter or Instagram account. Share what public power means to you using #CommunityPowered, and add #CWLP #PublicPower to make it local. (November 16 – five winners): Lumabase Clear Globe String Lights, 25 ft.
(November 23 – two winners): Home Accents LED Acrylic Snowman, 72 in. Each year a number of Springfield families have trouble paying their basic household bills. And things can get even tougher during the winter when home heating costs are added in. Through Project RELIEF, you can add $1 or more to your monthly CWLP bill to provide payment assistance to families during the winter heating season. Who Can Qualify for Project RELIEF? To qualify for Project RELIEF assistance, you must have: a total household income for the previous 90 days of no more than 150% of the Federal Poverty Guidelines; applied for help from LIHEAP (535-3120); a past-due CWLP bill; not received Project RELIEF assistance in 2017-2018; and exhausted all other assistance sources. You may also be required to cover a portion of your past-due CWLP bill. If you would like to participate in CWLP Project RELIEF, the first step in applying to the program is to call 789-2414 on December 3 or soon thereafter. If you meet minimum eligibility requirements, you will be scheduled for an appointment with Fifth Street Renaissance. Installing a new high-efficiency heat pump can save you money and earn you a rebate on your CWLP electric bill. In addition, customers who install heat pumps as their primary1 heating source are eligible for the utility's Electric Heat Rate, which provides a 9% savings over CWLP's regular residential electric rate from September 16 through May 15. NOTE: Customers who are currently on CWLP's Electric Rates 34-37 already receive this savings. The Heat Pump Rebate is available to CWLP electric customers who install qualifying air-source or geothermal heat pumps in their new or existing residential or commercial properties. (Any structure that is not owner-occupied, including apartment complexes, retirement facilities and office buildings, is considered a commercial property for purposes of this rebate program. For commercial heat pump rebates, pre-approval from CWLP prior to system installation is required. The amount of your rebate depends on whether or not your heat pump is an air-source or geothermal system. For an Air-Source System, your rebate will be $300 per ton of installed cooling capacity. For a Geothermal System your rebate will be $500 per ton of installed cooling capacity.Rebates are granted on a first-come, first-served basis while funding lasts. All rebates under $1,000 will be provided as bill credits. For rebates of $1,000 or higher, customers may opt to receive their rebate in check form by marking the appropriate box on the rebate application and providing their social security number or, in the case of commercial applicants, a W-9 form. Checks are available only for rebate amounts of $1,000 or more. All equipment model numbers will be verified through the Air Conditioning, Heating and Refrigeration Institute (AHRI) Directory of Certified Unitary Equipment. In addition, CWLP reserves the right to make on-site inspections of heat pump installations before granting rebates. To receive a Heat Pump Rebate, residential customers must complete and return a Heat Pump Rebate Application to CWLP within one year of the heat pump's installation date. To qualify for the Heat Pump Rebate program, commercial customers must apply for pre-approval from CWLP prior to installing their heat pump system. CWLP will determine if your heat pump qualifies as your "primary heating system" using a formula that factors your building's square footage and the heat pump's heating capacity. New commercial water loop systems will be considered for rebate eligibility on a case-by-case basis. Contact the Energy Services Office at 217.789.2070 or by email at nrgxprts@cwlp.com for more information. British thermal units (BTUs) per hour. Each "ton" of cooling capacity built into a heat pump or air conditioner equals 12 kBTU per hour (12,000 BTU/h). Residential central cooling systems typically range in size from two to four tons of cooling capacity (24 to 48 kBTUh). Once you are pre-approved for the rebate you can continue the application process. To apply for your residential heat pump rebate, following installation complete and sign a Residential Heat Pump Rebate Application, have your contractor sign it, and submit it—along with a detailed sales receipt that includes equipment model numbers and the total project cost—to CWLP within one year of the installation date. Rebates for commercial water loop heat pump systems are available on a case-by-case basis. Please contact the CWLP Energy Services by phone at 217.789.2070 or email at nrgxprts@cwlp.com for information about this program. Home energy audits and technical assistance programs helping people save. 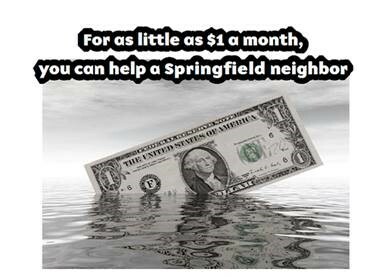 City Water, Light and Power Energy Experts are in the business of helping Springfield residents and commercial customers save money and energy through the utility’s various technical assistance programs. The CWLP Energy Experts offer a Money-Back Home Energy Audit program to help residential electric customers reduce their energy usage, save money, address drafts, or just to help them figure out what to do to make their home more efficient. In addition, the Energy Experts can also provide residents and businesses on-site assistance and conduct individual account assessments to help identify efficiency issues or usage questions. CWLP's home energy audit, which is covered by a one-time $25 fee added to a customer’s electric bill, is available to anyone owning or residing in a residential property that receives metered electric service from CWLP. The audit take about two hours to complete in most homes and involves a search for inefficiencies in the home from the attic to the basement, a blower door test and a thorough assessment detailing any problems. After the audit is complete, the Energy Expert will provide the customer with a packet of efficiency products selected based on the needs identified by the audit. In addition to reviewing findings with the customer as the audit and blower door test are in progress, the Energy Expert will write a report that details all of the improvement recommendations, share information on available rebates and provide savings estimates achievable from each. If any or all of the improvements listed in the audit report are made within one year of the initial audit and the customer completes a follow-up audit, a $25 rebate will be issued to the customer. The CWLP Energy Services Office offers “Smart Solutions,” home efficiency workshops throughout the year at the Lincoln Library and on-demand in a group setting for organizations or neighborhood groups, who have a minimum of 15 attendees. In most cases, the workshops can be set up at the convenience of the requesting organization. CWLP offers free facility technical assistance to commercial electric customers upon request. Included in a commercial facility technical assistance is a walk-through evaluation of the business' energy systems, including lighting, HVAC and thermostat operation, water heating and other specialized equipment or systems. During the walk-through, the Energy Expert also addresses specific concerns and can provide tips on equipment or operational changes that could be made to reduce energy usage, as well as information about rebates, grants and other incentives for improving energy or water efficiency that might be available from CWLP and other sources. CWLP Energy Experts also can provide the customer with billing histories in both table and graphical form and explain the bill components. Comparisons of weather-related data can also be provided, allowing the customer to understand the impact weather can and has had on consumption. The general Technical Assistance (TA) program offered by CWLP is designed to help customers who are experiencing efficiency-related problems in their homes or businesses or who have any type of energy efficiency question. TAs, which are free of charge to CWLP electric customers, can be conducted on-site, over the phone, by mail, or by email—depending on the circumstances and needs of the customer. Some TAs are investigatory in nature, such as those provided to customers who call with high-bill concerns. Some are educational in nature, such as those that teach customers how to use automatic setback thermostats and provide advice about various efficiency tools, choosing a heating and cooling contractor, or making economic comparisons of energy systems. The CWLP Energy Experts can even help customers design energy efficiency into the structure before building a new home or business. To make an appointment or for more information on the CWLP Money Back Home Energy Audit or any of the technical assistance programs, customers can call the CWLP Energy Services Office at 789-2070 or email nrgxprts@cwlp.com. CWLP works to minimize service interruptions and have the lights on all the time. When a power outage does occur, however, a new tool if now available to customers to view and track outages online. The new Electric outage map is a vendor application deployed by CWLP Electric Transmission & Distribution staff to allow the public to view and track outages. The map, fielded with data by Electric Operations-Dispatch, allows customers to see area outages in near real-time, see where crews are assigned and confirm whether their address is in an outage or not.